The number of Kosher restaurants in France has increased spectacularly in the last ten years, especially in Paris. Today, you can find over 250 Kosher restaurants (!) dispersed throughout the capital and its suburbs, catering to the city’s Jewish population of about 300,000 people. There are numerous culinary styles to choose from and you can taste specialties from all over the world. Of course, you can find traditional French food at these kosher restaurants as well, but the Japanese are the ones who really won the hearts of the Parisian Jews, with no less than 50 kosher sushi bars in Paris alone! There are also Chinese, Thai, Indian, Lebanese, Israeli, American, and Italian restaurants. The “Marais” quarter (4th): Nicknamed “Pletzl ,” the Marais is the old quarter where the Jews who arrived from Eastern Europe lived. The most famous street is the “Rue des Rosiers,” where you can find multiple falafel restaurants and cake shops. Be careful about the Kosher certificates there because several restaurants indicate “Jewish food” but actually have no rabbinical supervision. 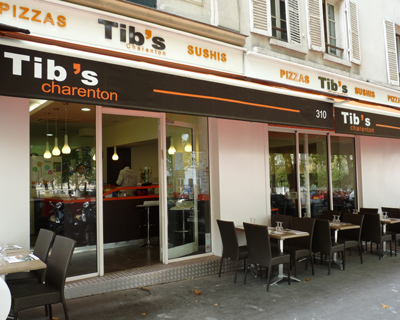 The 17th arrondissement: You can find many Kosher restaurants here, but they are scattered throughout the whole neighborhood instead of being clustered into one street. This is the case for the 16th arrondissement as well, but here you will find even less Kosher restaurants than in the 17th. 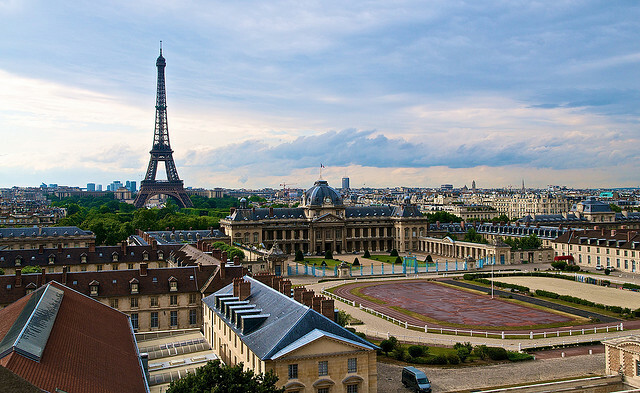 The 19th arrondissement: This is the center of Parisian Jewish life. 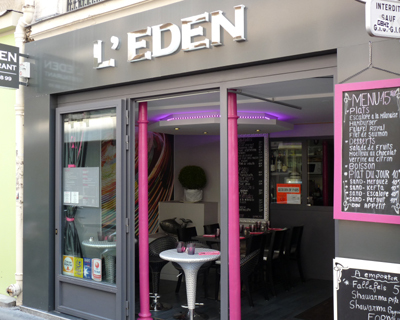 The Kosher restaurants are concentrated in the “Rue Manin,” where you will find cakes shops, Judaica stores and Kosher grocery stores. L’INTE CAFFE (8th): gastronomic dairy food in a chic setting. IL CONTE (8th): very close to the famous Champs Elysees shopping avenue. LA STELLA (12th): a good dairy restaurant with a vast array of Italian specialties. LITTLE TRENDY (16th): fine and original Italian food. TIB’S (19th): one of the first dairy restaurants to open in the capital, with 100 covers and a big terrace that is open all year round. It has a familial, relaxed feel, but does not skimp on professional service and high quality dishes. IL MONDO (19th): a comfortable atmosphere and a diverse menu. L’EDEN (8th): a few minutes from Champs Elysees Avenue, this restaurant has very high quality French and international food. O YOU (12th): an authentic French delectable restaurant. IZAAKI (9th): close to the Opera quarter and the famous department stores (Galeries Lafayette), this restaurant offers quality Chinese and Japanese cooking served in sophisticated tableware. MISSADA (17th): an authentic Chinese restaurant. LA FILLE DU BOUCHER (17th): Plunge into the Parisian Brasseries of the 1920’s! Meat connoisseurs will enjoy the food as well as the generous portions served here. MIPI EL (19th): Good Israeli and Oriental cooking in a family-friendly atmosphere with amicable owners. This list was compiled by MangerCacher.com for YeahThatsKosher.com readers. Their site has more information on Parisian Kosher establishments, including pictures and detailed menus.